Join us for FREE bowling & green building resources! 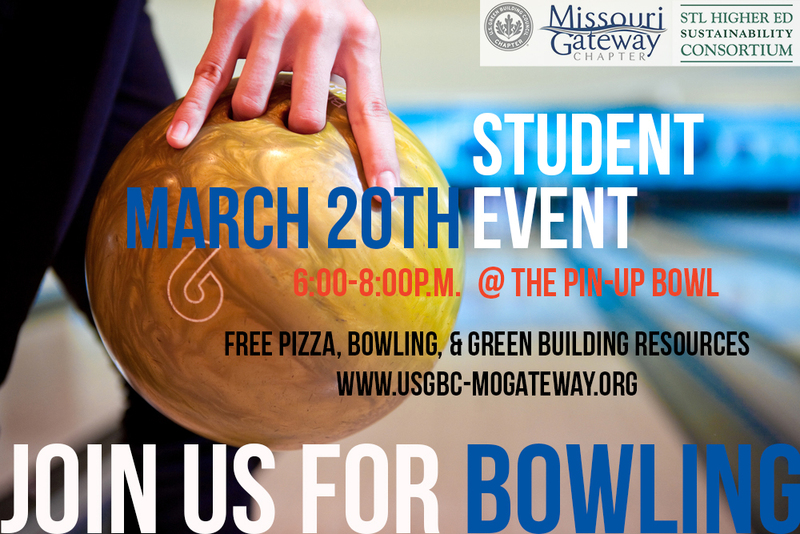 On Thursday, March 20th, the USGBC – Missouri Gateway Chapter and the St. Louis Higher Ed Sustainability Consortium are hosting a get-together at the Pin-Up Bowl. This is a great way to connect with students interested in sustainability… and get your bowl on! Click here to visit our Facebook event page and RSVP. The USGBC-Missouri Gateway is committed to recognizing volunteers who have contributed significantly to the Chapter, devoting time and talents “above and beyond” on a particular project or program. This month we are happy to recognize Lynn Larkin of Design Extra for her dedicated efforts on the Membership Committee, Leadership Circle, Board and LEED Community Project! Lynn was nominated by Paul Todd Merrill, Chair of the Membership Committee, for her tireless efforts to promote the Chapter. Lynn enthusiastically takes on whatever task the committee is faced with, whether it be welcoming new members to the Chapter, reminding lapsed members to renew, recruiting national members, or organizing the Chapter’s new member events. 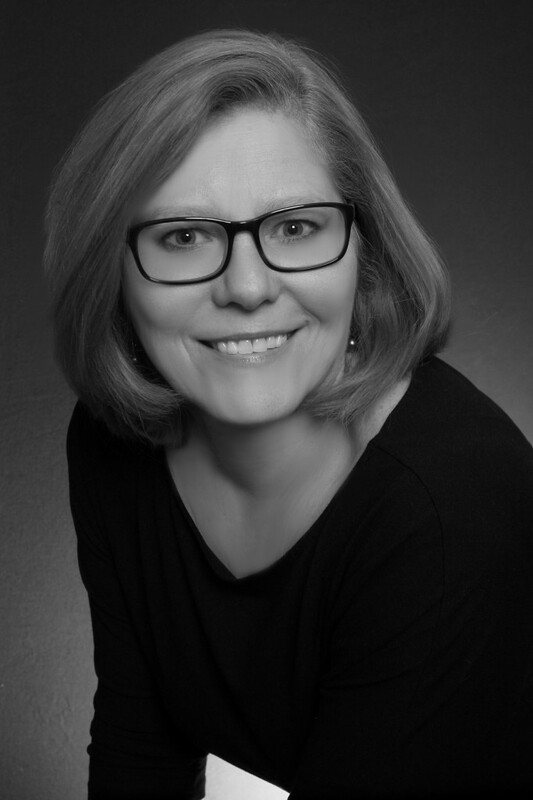 Lynn serves as the Membership Committee’s representative on the Chapter’s Leadership Circle and as the Leadership Circle’s representative to the Board. Additionally, Lynn is volunteering with the LEED Community Project, assisting Forest Park Forever complete LEED Documentation for the Forest Park Visitor & Education Center. She is consistently enthusiastic, professional, and a pleasure to work with. Thanks to Lynn for your leadership and hard work! Compressed Natural Gas (CNG) is a fuel that is becoming a better option for transportation needs. With a lower cost per unit of fuel combined with lower emissions of standard diesel or gasoline, CNG has the opportunity to save financial resources while also having a lower impact on the environment. Parkway School District is excited to be dedicating 30 new CNG buses to the Parkway fleet along with a new fueling station. Come learn how CNG can be effectively implemented through Parkway’s example by transitioning an existing fleet and outfitting maintenance garages and fueling stations to meet the needs of building owners and building code officials. Kevin Herdler has been involved with the Clean Cities program since its inception in 1993 and assisted in forming Atlanta’s Clean Cities program in Georgia. In 1998, Herdler relocated to St. Louis and became involved with the St. Louis Regional Clean Cities program. In 2000, he was appointed the executive director. Herdler has been in the automotive field for 39 years and graduated technical school as a diesel technician. He is a veteran of the U.S. Air Force. Will Rosa has been the Director of Transportation at the Parkway School District for over 7 years. Will continues to make strides in Parkway ensuring bus safety, effective maintenance, and implementing the CNG conversion. Having 25 years of experience in the transportation industry, he’s seen it all. Will is a graduate from the University of Missouri – Columbia. Will also returned to Parkway since he was a graduate of Parkway North High where his name is still on a wall for being an undefeated wrestling state champion his senior year. Main Entrance. Parking will be available and clearly indicated for attendees. Contact USGBC-MGC staff via email at hope.gribble@mobot.org, or phone 314-577-0225. It was with sadness that we learned of the passing of Brooks Critchfield on January 15 after her battle with cancer. Brooks was a member of the Chapter for 8 years and a champion of sustainable design and construction. She oversaw the LEED process onsite for many projects, ensuring that the project team complied with green building requirements and guidelines. Since her passing, many Chapter members have shared their stories and expressed their respect for Brooks; the green building community will miss her leadership, expertise and great attitude. The USGBC-Missouri Gateway Chapter has made a donation to Forest Park Forever in Brooks’s memory, and our thoughts are with her family. An obituary is available online here.